Real Deal Retirement » Blog Archive » Can I Double My Nest Egg In the Final Decade of My Career? 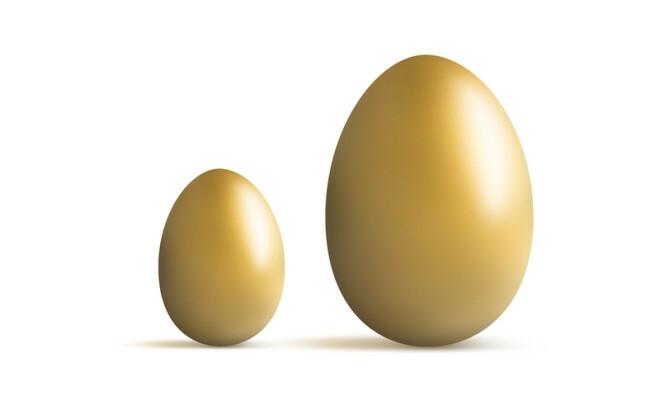 Can I Double My Nest Egg In the Final Decade of My Career? My wife and I are in our 50s and contribute 12% of our salary each year to our retirement accounts that we invest in a mix of 90% stocks and 10% bonds. We would like to double the size of our nest by the time we retire at 65. Are we being too aggressive? If by “too aggressive” you mean aiming to double the size of your nest egg in the final ten years or so of your career, the answer is no. Indeed, if your nest egg is relatively small, that feat may not be difficult at all, as new contributions alone could allow you to achieve your goal. But even assuming you’ve accumulated a sizable nest egg, pulling off a double, though by no means a lock, is still doable. In fact, research by Wharton finance professor Richard Marston shows that someone on track to retire at age 65 with 85% of his pre-retirement income might very well have accumulated only half his savings target by age 55. The other half would come over the next 10 years from a combination of investment returns plus new contributions to retirement accounts. Check Out: How Smart An Investor Are You? Try This Quiz? I do think, however, that your strategy of investing 90% of your savings in stocks is far too aggressive for this stage of your career. If the market suffers a major meltdown, you and your wife could find yourselves having to dramatically scale back, if not postpone, your retirement plans. Besides, there’s really no reason for you to take on such outsize investment risk. You actually have a decent shot at reaching your goal with a more moderate investing strategy. Here’s an example. Let’s say that you and your wife earn a combined $100,000 a year, have retirement accounts totaling $500,000 and that you would like to see your nest egg grow to $1 million in 10 years. If your savings earn, say, 6% a year in a low-cost diversified portfolio of 60% stocks and 40% bonds, investment growth alone would bring the value of your retirement stash just under $900,000. Throw in another $1,000 a month in new savings—i.e., 12% of your combined salaries, or $12,000 a year—and after 10 years you would have another $160,000 or so, assuming the same 6% return (and not including any pay raises). Combine that $160,000 with the near $900,000 your original nest egg has grown to, and you would have a retirement stash of a bit more than $1 million, meeting your goal. Sure, you might earn an extra percentage point a year or so with a 90% stocks-10% bonds portfolio. But that would boost the size of your nest egg to just over $1.1 million, not exactly a blow-your-socks-off difference. Of course, these figures are only back-of-the-envelope estimates meant to give you a general sense of how you might do, not guarantees of the eventual size of your nest egg. More important, these estimates don’t factor in the chance of stocks taking a dive somewhere along the way. And that possibility—if not probability—is something all investors, especially those nearing retirement, must seriously consider. For example, from the market’s high in October 2007 to its low in March 2009, a portfolio with 90% in stocks and 10% in bonds would have lost about 45% of its value compared with a 29% loss for a 60-40 stocks-bonds mix (assuming no rebalancing). While either setback would be unwelcome, I think most people nearing retirement would feel a lot more rattled—and more likely to sell stocks in a panic—watching nearly half their nest egg’s value disappear. To get a better idea of how much risk you can handle and what mix of stocks and bonds is right for you, fill out the Investor Risk Tolerance Questionnaire in RDR’s Retirement Toolbox. Even if you believe you can handle such a loss emotionally, it may be tougher to manage financially, especially if it comes just as you’re about to retire. A near-50% loss on the verge of retirement could force you to seriously downsize your retirement lifestyle, or even put off retirement indefinitely. If you want to increase your chances of doubling the size of your nest egg by age 65, there’s a better way to go: focus on saving more. For example, if you can increase the percentage of salary you save each year from 12% to, say, 20% in this final dash to retirement, you could end up with an extra $100,000 or so, assuming a 6% annual return. That’s about as much you might expect to gain by investing in a 90-10 stocks-bonds mix without saving more. If the stock market swoons big time, you’ll still take a hit. But you’ll be in much better shape than had you taken a pedal-to-the-metal investing approach. Finally, while it’s okay to have a target like doubling your money, what really matters is that you end up with a nest egg that’s large enough to comfortably support you and your wife throughout retirement. You can see whether you’re on track toward that goal by periodically revving up a good retirement income calculator.